Description: The most popular way to celebrate the new year is with firecrackers. 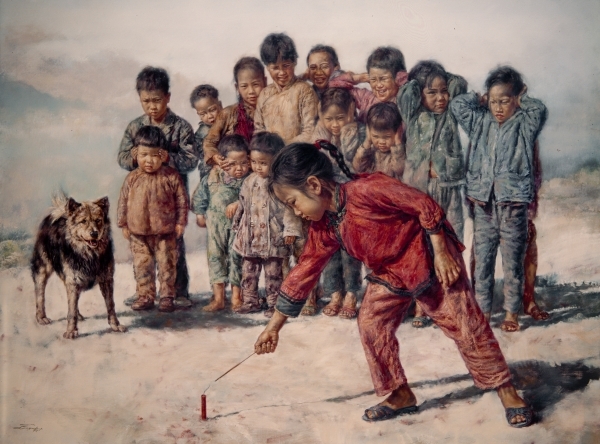 Children gather together to watch a girl who is about to light one. They are a little nervous, but excited as well. They cover their ears with their hands. Older brothers and sisters cover the ears of their younger siblings. A dog, the children's friend, joins them in the fun.